It’s safe to say that most people have never heard of Cyclus Sports. That’s fine with Neil Lewis. He’s the president and owner of the bicycle racing club based in Greensboro, North Carolina, that has local teams in Pittsburgh and five other cities, with more to come. He’s sure people eventually will learn about it. That may sound like a lot — maybe even too much — to believe possible with a sport like cycling. Yet Mr. Lewis promises his make-no-small-plans approach will work, not because he has experience running sports teams or leagues, but because he doesn’t. “If you’re so close to the problem, sometimes you can’t figure out the solution,” he said. The problem for cycling, as Mr. Lewis, 55, and Cyclus’ operations chief and Monaca native, Matt McNees, see it, is this: In the wake of the performance enhancing drug (PEDs) scandals of the last 20 years that reached a pinnacle with Lance Armstrong, not only have casual fans been turned off by it, but athletes who might have become some of the best cyclists are turning away from it as well. The idea began with a proposal from Mr. McNees to his longtime friend Mr. Lewis on Oct. 13, 2013, when the two were drinking beers and watching a football game at the same restaurant where they met in 2000 when Mr. McNees was a waiter there. If Mr. Lewis is the money and experienced businessman of the team, Mr. McNees is the ethical guide. Last year Mr. McNees published something of a treatise on the problems with cycling, as he saw them, in “Sports Philosophy Now: The Culture of Sports After the Lance Armstrong Scandal,” a 261-page book that combines philosophy and culture. That attitude extends from avoiding any sponsor who was connected to anyone convicted of using PEDs — including Nike, which sponsored Mr. Armstrong — as well as avoiding races associated with any sponsor like that, or run by anyone connected to a PED scandal. What they have to do to become a part of a Cyclus team is sign a contract that calls for the immediate termination if a rider is found to have used any PEDs. Mr. Morales was one of those young fans disappointed by what he was seeing when it was so obvious that most of the riders in the major races like the Tour de France were using PEDs. “All you needed to do was see the data [on racers’ performance and power output] from one year to the next to know what was going on,” he said. Cyclus’ up-front attitude about PEDs extended to how they chose their head coach. Jacob Fetty, 38, helps run a coaching service, Cycle Smart, from his home in Spencer, W.Va. Mr. Lewis and Mr. McNees hired Mr. Fetty and his company three years ago, and not just because of its reputation in helping improve competitive cyclists performance. “We’re sort of known for being outspoken against performance enhancing drugs,” Mr. Fetty said. Just being opposed to PED use is not going to result in winning cyclists who can get the attention of national media and maybe reach Mr. Lewis’ goal of getting a cycling league on television. So what is Cyclus doing for the riders that potentially is going to change the sport and possibly produce those world class cyclists? “We start with local teams,” Mr. Lewis said. In 2014 it began with just one local team in Greensboro. It added two more North Carolina teams in 2015 in Raleigh and Charlotte. Then last year — thanks to Mr. McNees’ Western Pennsylvania heritage — they added Pittsburgh, which made perfect sense to Mr. Lewis. Each five- or six-member team gets its own Cyclus jersey, with different colors to separate them from other Cyclus teams. The colors were chosen in some cases on a whim. But, in the case of Pittsburgh (black and gold) and Charlotte (light blue and grey) they play off local pro sports teams. This year, Cyclus is adding teams in Cleveland and New York City. Next year, it plans to expand to Boston and possibly two or more cities, potentially in Tennessee. The teams ride races locally and regionally nearly every weekend together from March into the fall. The Pittsburgh team, for instance, will travel to West Virginia, Ohio, Virginia and the Washington, D.C. area. Now that Cyclus has six local teams — which act as something like farm teams, with the best riders competing to join the national team — this year for the first time it is planning on holding an inter-team competition in Greensboro. The 100-mile-or-so race will pit all six of Cyclus’ teams against each other in a race around a 1½- mile course through downtown Greensboro. Last year, Cyclus’ national teams raced some of the lesser-known races in Europe, and this year will race the best stage races in North America. Eventually, Mr. Lewis said, “we want them to be racing the biggest races in the world” including the Tour de France. Building each team starts with the local directors — Mr. Villella in Pittsburgh — who work with Mr. Fetty to recruit local riders. They just don’t look for the fastest local riders. Instead they target men — no women yet, though there may be women’s teams in the future — who aren’t necessarily winning every local race. “We get a fair amount of [unsolicited] resumes and calls from guys looking for a team and program to be part of,” Mr. Fetty said. “But a lot of these guys are good riders who are simply looking at what they can get, but are not really interested in their growth potential. Character is a big part of their ideal rider. The local teams aren’t professional in the sense that riders are paid — though that is true for Cyclus’ national team members who get free housing and a stipend that at least means they don’t have to work a full-time job. 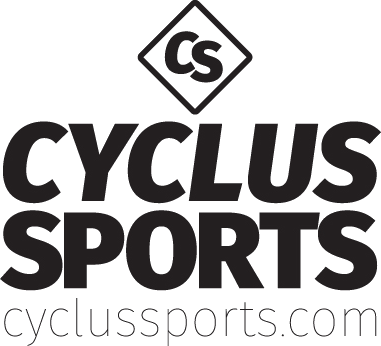 But being on a local team has many of the trappings of professionalism: Each member’s bike, equipment, replacement parts, uniforms, entry fees, travel and even their coaching is paid for by Cyclus. The package of perks is worth around $10,000 per member. The costs are footed by a combination of sponsors — both national and local — and investors led by Mr. Lewis, who said that the split between sponsor revenue and investor revenue is “getting close” now to 50/50. Pittsburgh has a long and proud cycling reputation, from Frank Lenz, “The Lost Cyclist” who tried to ride around the world in 1892, to Danny Chew and the Dirty Dozen bike race, the current work of the Allegheny Cycling Association, the local biking organization that oversees racing at the Bud Harris Cycling Track, an outdoor velodrome where many cyclists have begun their careers. The Pittsburgh team already has done that. Mt. Lebanon’s Ian Baun, 19, raced with the Pittsburgh team last year and performed so well that Cyclus promoted him to the national team in January. Long known in the local cycling community as one of the best young talents around, Mr. Baun was about to quit competitive cycling when he first was asked to join the Pittsburgh team. But after impressing Mr. Villella and Mr. Fetty, he now is spending the rest of the racing season training full-time in Greensboro, planning his workouts and arranging his meals to give him the energy he will need — without having to worry that he can afford it — and dreaming of international racing. “It really is just a whole other world,” Mr. Baun said. Will it lead to doing racing tours in Europe any time soon? Mr. Lewis is counting on it.